Today I celebrate my three-year cancerversary. It was May 10, 2011, when biopsy results confirmed my lung cancer diagnosis. My life has evolved quite a bit since that day. My first cancerversary in 2012 fell two days after my sixth (and last) dose of second line chemo, and a month before my second series of radiation treatments. I was stage IV, continually felt like I had the flu, and though hopeful, didn’t feel much like celebrating. My second cancerversary in 2013 fell sixth months into my current clinical trial. I had achieved No Evidence of Disease (NED) and focused on enjoying life, but was nearing the timeframe when others who took the same experimental drug typically progressed. I flew to Denver every 4 weeks for trial check-in, juggled side effects of treatments past and present, and felt anxious about the future. My third cancerversary is different. Life no longer revolves around cancer treatment. I’m 17 months NED in my clinical trial, and the drug’s side effects are minimal. My visits to Denver every other month seem almost routine, with only a hint of scanxiety. I’m exercising most days, rebuilding my fitness level, and starting to lose the 60 pounds gifted to me by various cancer treatments. Physically, I’m less a cancer patient and more an out-of-shape fifty-something. My life still revolves around lung cancer, but not in the same way. I’m busy most days with lung cancer patient advocacy. 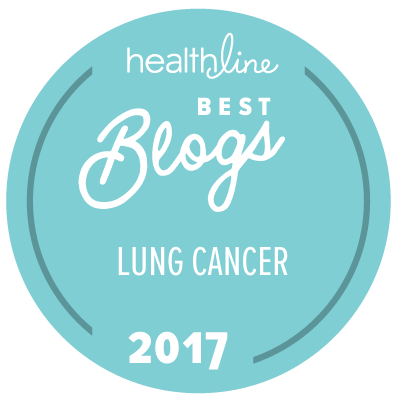 In addition to writing this blog for over a year, I moderate Lung Cancer Social Media (#LCSM) chats on Twitter and work with lung cancer nonprofits, healthcare professionals, researchers, and patient advocates to raise awareness and support of lung cancer issues such as benefits of mutation testing, screening with low dose CT, living with metastatic cancer as a chronic illness, and the need for increased research funding. 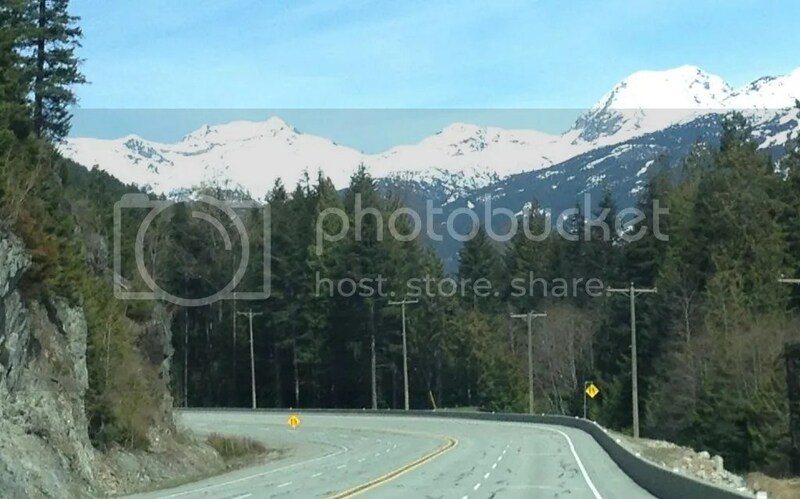 To celebrate this cancerversary, my husband and I spent a quiet vacation week in Whistler BC. 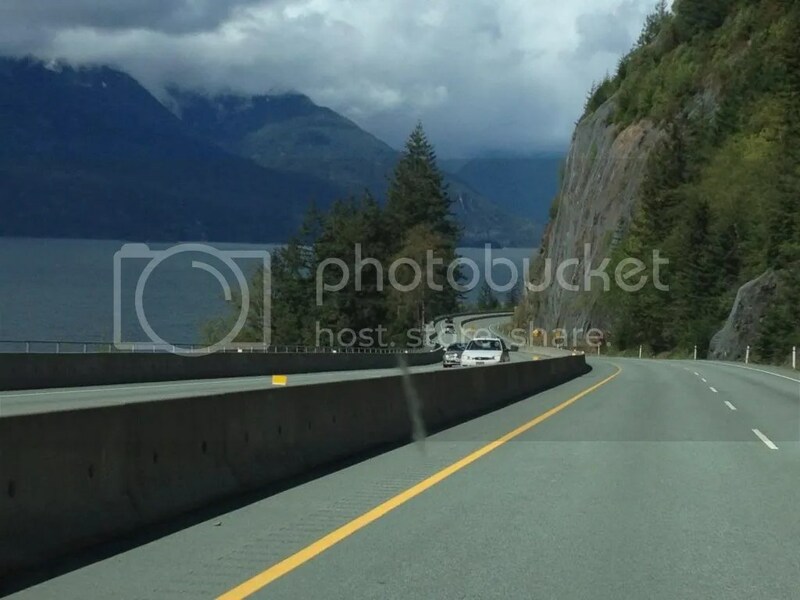 The drive from Vancouver along Howe Sound into the volcanic coastal range (via Sea to Sky Highway) showcased Mother Nature at her finest. 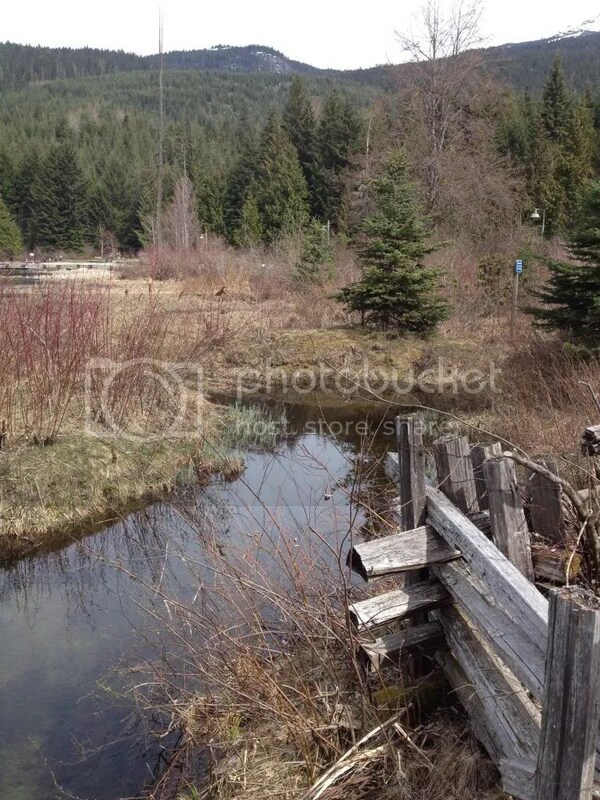 I enjoyed exploring Whistler Village and surrounds as well as writing. As I watched the snowboarders walking down from the Blackcomb gondola, I did feel a twinge of regret that I can no longer ski. However, I later reveled in the warm sun as I walked the mile around Lost Lake (2200 feet elevation!) at a moderate pace, with only a few stops–I could not have done that in 2011, 2012, or 2013. So life has returned to an acceptable state of normality. At this point in time, a headache is just a headache—it doesn’t automatically trigger anxiety about brain mets. I look forward to seeing my son graduate from college next May. I accepted a commitment in fall 2015 without first asking if I’d be alive on that date. I know my targeted therapy cancer pill likley will fail me someday, but I now can go weeks without thinking about that. This entry was posted in Advocacy, Clinical Trial, Death and Dying, Lung Cancer, The Bright Side, Travel and tagged Cancerversary, Hope. Bookmark the permalink. Congratuation ! I like BC. It is so clean and the air is so refreshing. We go up to Vancouver once a year to enjoy and they have the best Chinese food besides Hong Kong. Good for you. You deserve some good times. You help in ways you don’t even know, by your communication, education, and joy for life. You have helped me and you do not even know me. Thanks and my prayers for your continued improving health. Lovely post. I could not agree more about the state of being at yr3. I hit mine the day after you. 🙂 Your thoughts, feelings, behaviors are quite similar to mine. I might need to camping trip to Nairn Falls on my summer to-do list. …and take an english class. I might need to camping trip… ha ha ha!